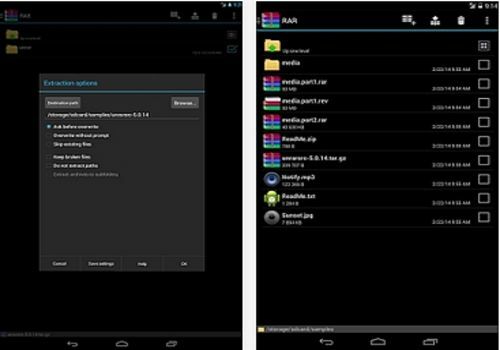 RAR is a small application that allows you to compress documents or files from your smartphone to recover memory space. It is also a very useful tool if you want to easily send documents or photos to your friends via instant messaging. Already very complete in its computer version, RAR also offers a very complete program on mobile and which will quickly become one of the essential Android applications. Pocket RAR is equipped with a very powerful compression algorithm allowing better compression rates than other archiving tools.